Risk of Rain 2 would have fallen rather short of the expectations set by its predecessor if it didn’t feature a colourful and expansive cast of horrible monsters to contend with. 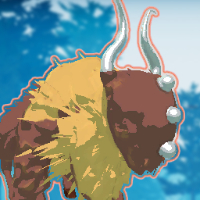 From tiny wisps that hover in the sky and zap you from above to roaring bison that charge at you from the other side of the map, each enemy presents a unique set of stats and behaviours which you must learn if you are to defeat them. Our Risk of Rain 2 enemies guide will walk you through these enemies one at a time, explaining how they work and how to deal with them. We’ll also give you some handy info regarding the Elite variants that you can come across and why you should be wary of these deadly upgraded monsters. If you’re after some more general information on Hopoo’s latest roguelite survival game, you’d best check out our Risk of Rain 2 guide, which we’ve packed with tonnes of beginner-friendly explanations and practical tips, along with links to the other areas of our expanding Risk of Rain 2 guides series. 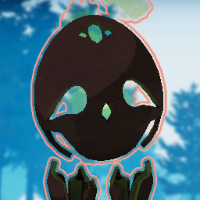 If you’re looking for tips on the various bosses of the game and how to defeat them, look no further than our upcoming Risk of Rain 2 bosses page. We’ve got a fair amount to cover with each of the 12 regular enemies currently in Risk of Rain 2, along with our explanations of the Elite variants of each enemy. To try and create a bit of order out of this chaos, we’ve made it so you can skip to any section or enemy of your choice by clicking on the corresponding link just below. Before we get stuck into each enemy’s stats and characteristics, you should be aware that each enemy has a chance of spawning as an Elite variant. These Elites are much tougher than normal, and can apply both to regular enemies and to bosses. The probability of an enemy spawning as an Elite, quite predictably, starts off low but increases the longer you survive in a run. There are three types of Elites that you can come across, and each are recognisable by their distinct colour (see below). Regardless of the variant, all Elites enjoy 4.7x the Health and 2x the damage of their regular counterpart, so they are not to be trifled with – particularly on the later stages of a run, when enemies are getting pretty beefy anyway. Blazing Elites are coloured red, leave behind a fire trail that damages players that come into contact with it, and their attacks can ignite the player for 4 ticks of the Elite’s damage. The below table lists every enemy currently in Risk of Rain 2. 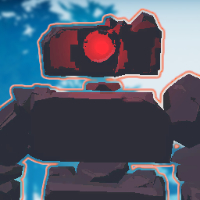 More enemy types will doubtless be added at later stages of the game’s journey through early access, but we’ll be sure to keep this page as up to date as possible. Next to each enemy you’ll find descriptions of each enemy, as well as their speed, health, and damage stats. It’s worth noting how the Health and damage stats scale up over time: each difficulty level through a run (“Easy”, “Normal”, etc.) 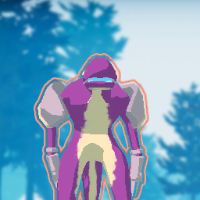 is broken in to three sections, and each time you move to the next section, the enemies move up a “level”, giving them an extra 30% Health and 20% damage (based on their original values). An increase in level also increases the rate at which they spawn. Check the table for all the relevant values. Note: enemies limited to a specific Environment can still spawn in others once you’ve completed a “Loop” of all Environments – for example, you may find Hermit Crabs in the Titanic Plains once you’ve completed Abyssal Depths and returned full-circle to the starting Environment. Spawns in groups, digging itself out of the ground. Its only attack is a single melee swipe, so keep them out of range by staying on the move. 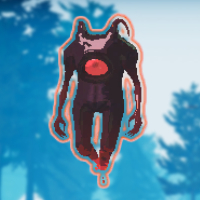 One of the weakest enemies in the game. Spawns in groups in the air. Very low health and easy to kill, but difficult to avoid its laser beam if it gets close enough. Kill quickly, and be wary of Elite variants at higher levels, because they can sometimes take off half your health in a single shot. Spawns in groups. 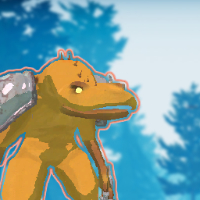 These pesky critters throw fireballs from a fair distance, and also have a melee slash if you get too close. Stun-lock them with repeated attacks to prevent them from casting fireballs. Usually spawns alone. Slow, strong enemy with a charge-up beam that deals large damage to the player. A well-timed dodge or stun will nullify the attack; or simply use obstacles/terrain to break line of sight while it's charging. Found in Abandoned Aqueduct, Rallypoint Delta, and Abyssal Depths. Fast, strong enemy with an AoE attack for melee range, and a long-range attack which brings spikes out of the ground in a line towards the player, and pulls the player towards the Beetle Guard if they are hit. Fortunately, the attacks can be easily jumped over. 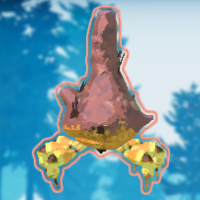 Found in all Environments except Distant Roost. Strong flying enemy with a single, heavily telegraphed attack that sends two fast-moving green fireballs towards the player. Easy to dodge as long as you see them coming. Simply focus fire on them until they are destroyed. Found in Abyssal Depths only. Powerful dragon-like enemies with two attacks: a long-ranged attack which spits multiple large fireballs out in a line, and a close-range flamethrower. Both deal large damage (particularly the flamethrower). Stay out of range, dodge away from attacks, and you'll find they're fairly easy to kill. Found in Abandoned Aqueduct, Wetland Aspect, Rallypoint Delta, and Abyssal Depths. Floating mechanical enemy that hurls three giant spiked balls at you in quick succession. 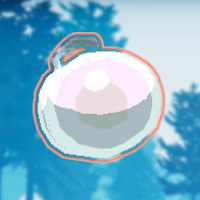 These balls pack a punch, so concentrate on avoiding them and bursting down the Brass Contraption while they're on cooldown. Found in Distant Roost, Titanic Plains, and Wetland Aspect. Slow-moving and easy to kill floating enemies. If they get close, they'll charge up and explode on you, dealing a fair amount of damage in an area around itself. Keep your head on a swivel and kill them before they get close. Found in Rallypoint Delta and Abyssal Depths. 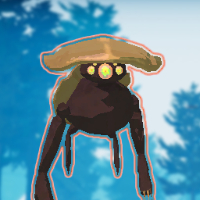 These powerful floating pestilences are very nimble, and have the unique ability to teleporter quickly from point to point, closing the gap between you so it can unleash its powerful melee swipe attack. Keep them at range, and don't let them sneak up on you. These enemies try to keep their distance from the player. 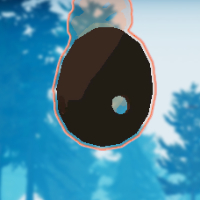 If allowed to burrow into the ground they will start to launch boulders at players from quite a range. Very threatening until you notice and focus on them, after which they become very easy to deal with. Powerful beast which periodically lets out a roar and quickly charges at you. If it hits you it will deal significant damage, so keep an ear out for the roar and prepare to dodge. The Bison is vulnerable and slow between charges, so concentrate fire on it then. And with that, we conclude our Risk of Rain 2 enemies guide. Hopefully this has helped supply you with the information and confidence you needed to get back out there and complete the next Loop or five. 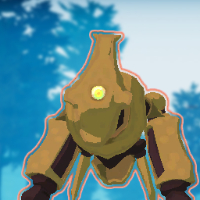 And be sure to check back here for all the latest and most updated information on the enemies of Risk of Rain 2. 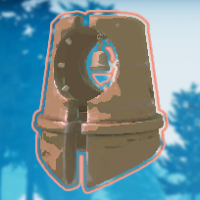 We’ll be waiting, survivor.